1. Maverick AK-01 BBQ Tools with carrying case: Dad will love this set of five stainless steel and rubber grilling accessories that he can use to grill dinner for the whole family (and put it away in the case when he’s done). 2. Husky plastic tool box with metal latches: I got this for Matt on his birthday last year. He loved it and so do I. It keeps all of his tools in one place–including the teeny tiny hardware that would otherwise get lost in a drawer somewhere. 3. Metal two-bag golf organizer: Dad’s caddy when he’s not on the golf course. 4. Armor All complete car care kit: For the DIY Dad, this kit let’s him clean, buff and shine his (other) baby. 5. Bamboo multi-charging station: A charging station gives dad the power he needs for all of his gadgets in one place. 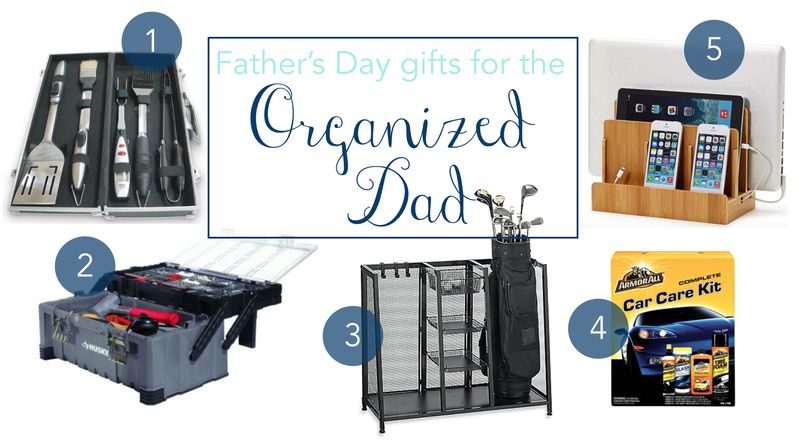 When all else fails, treat your Dad to your excellent organizing services–Mom will thank you. I live about four hours away from my family, which means I’m frequently taking weekend trips back to my hometown to visit them. Between all of the back and forth, packing and unpacking, I’ve gotten pretty good at keeping an organized weekend suitcase. 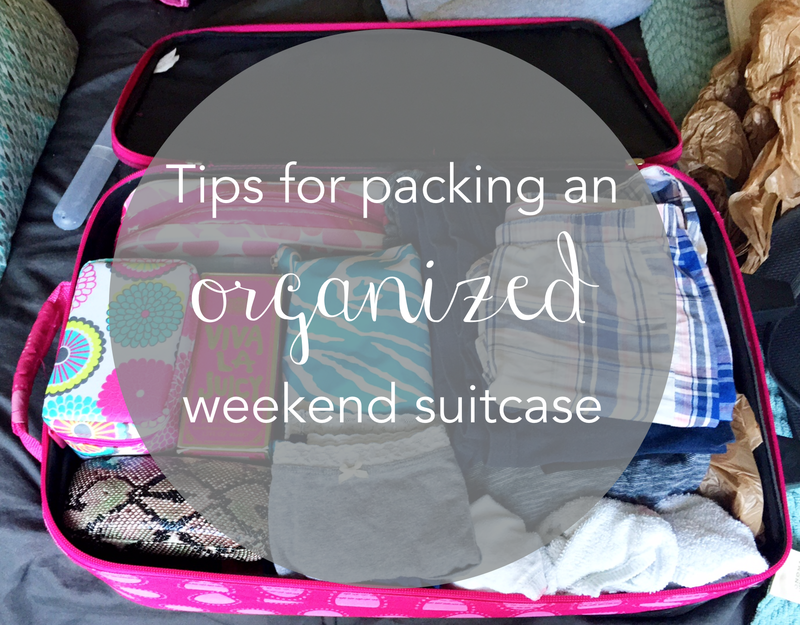 Here’s my top ten tips for keeping a tidy weekender bag or suitcase. If you didn’t know already, Mother’s Day is coming up on Sunday May 10th — that’s next weekend! It came up so fast this year and I can hardly believe that tomorrow is already May. Yikes! Anyways, most Moms have a lot going on. Whether they have young kids, older children or grandchildren, help keeping their lives organized is always appreciated. 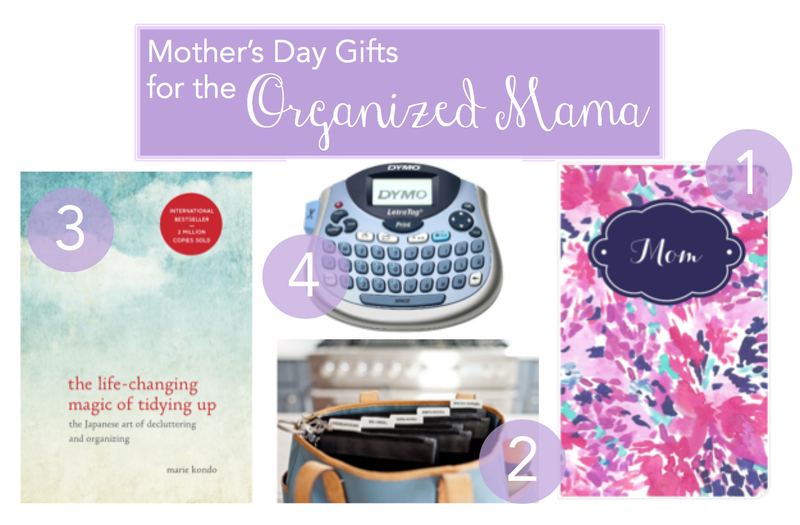 Without giving the impression of “Hey, you’re a slob” or “Hey, you’re a neat freak,” any of the following gifts are perfect for any type of mother in your life. Check it out. Have you ever bought something expensive and knew you had to hold on to the paperwork, instructions, CD and receipt for it? How many times have you put that paperwork in a drawer never to be seen again–especially a year later when you really really need it because you’re moving or need to reprogram something? If you’re anything like me (before I got organized), it’s probably happened more times than you can count. 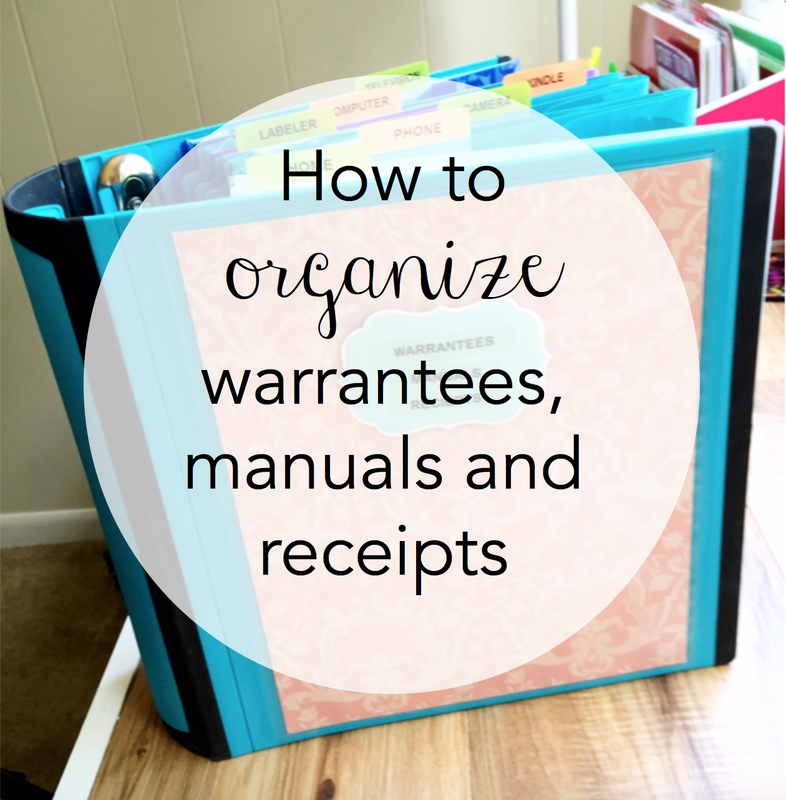 If you’re a renter who tends to move around a lot, it’s so important to keep this type of paperwork organized. You’ll need user manuals to know how to program and reprogram your electronics, instructions so you can assemble and disassemble large furniture and receipts and warrantees incase things break. 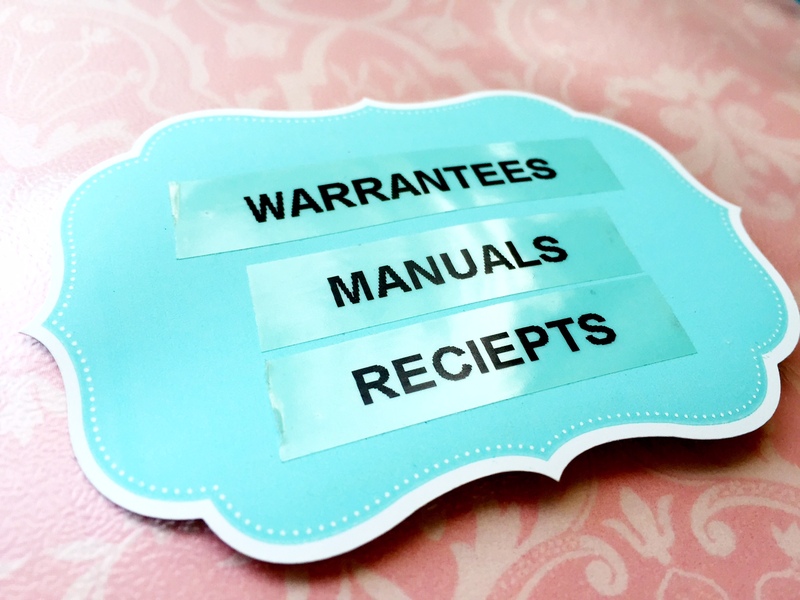 Make sure you’re prepared for any future move and set yourself up a warrantees manuals and receipts binder. First, I would like to say that I cannot take credit for the genius that is this binder. I completely stole this project from my inspiration for all that is organizing, Alejandra Costello from alejandra.tv. She’s a professional organizer and had tons of great videos full of tips and DIYs for organizing the spaces of your home–if you haven’t checked her out yet, now’s the time. Also, I’ve linked all of the products I used in the body copy of this post. Just click on the name of the product and it will direct you to a site where you can purchase the items! Let’s get started. First, you’ll need a binder. 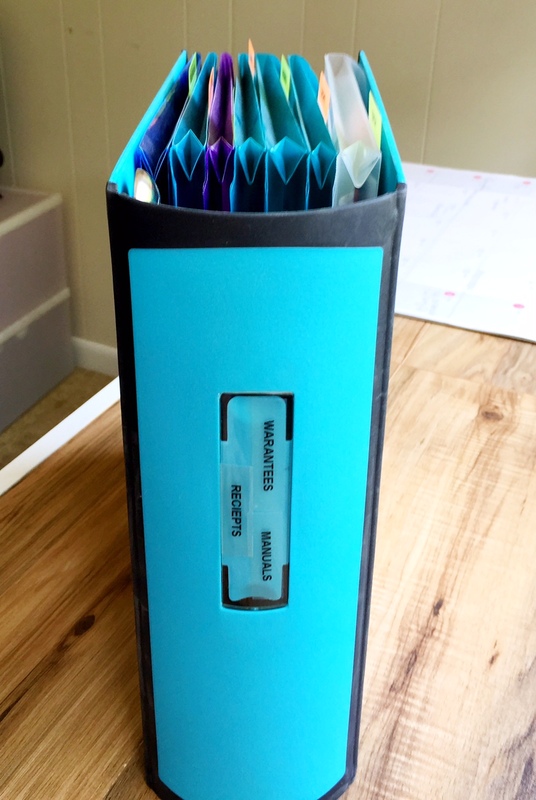 I used a 3″ Better Binder from Staples. 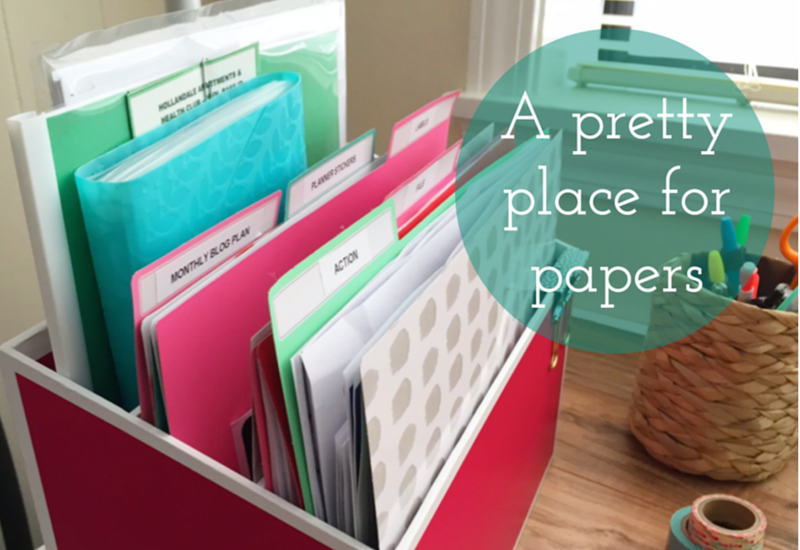 This particular binder is really high quality, large and sturdy enough to hold several poly envelopes. For the cover, I just slipped a piece of scrapbook paper into the front clear pocket and put a Martha Stewart Collection label over top of the plastic and used my labeler with some clear tape to make a label. 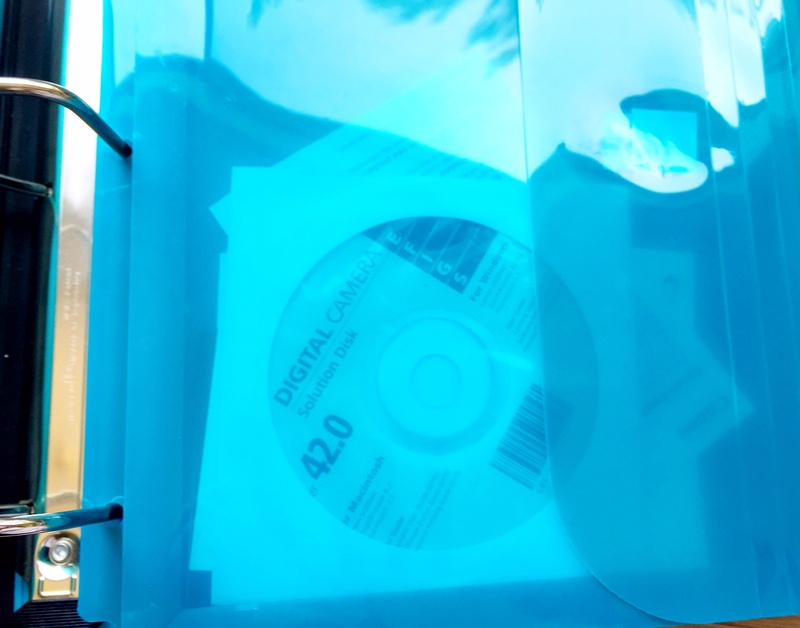 Inside, I used clear poly envelope inserts for each item I have paperwork for. The “home” section has manuals and receipts for all of our home items, such as our bed frame, George Foreman grill, blender, etc. Make sure your poly envelopes have solid closures. 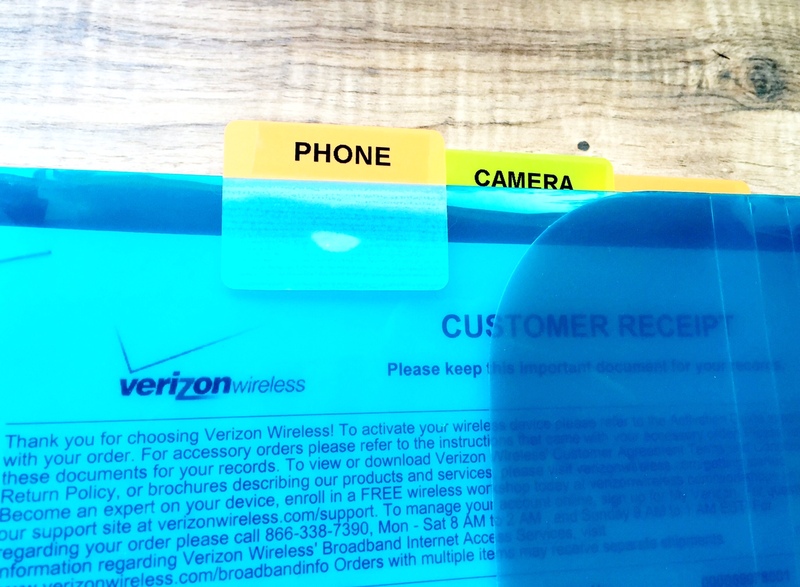 These have velcro to keep everything inside the pocket and not all over the place. Also, if you have large manuals, instructional CDs or anything similarly bulky, you’ll want your pockets to be expandable as well. I just used a post-it sticky tab to the top of the poly envelope and used my clear label tape to label each section. There are so many different colors and styles of these that you can color code as you see fit. 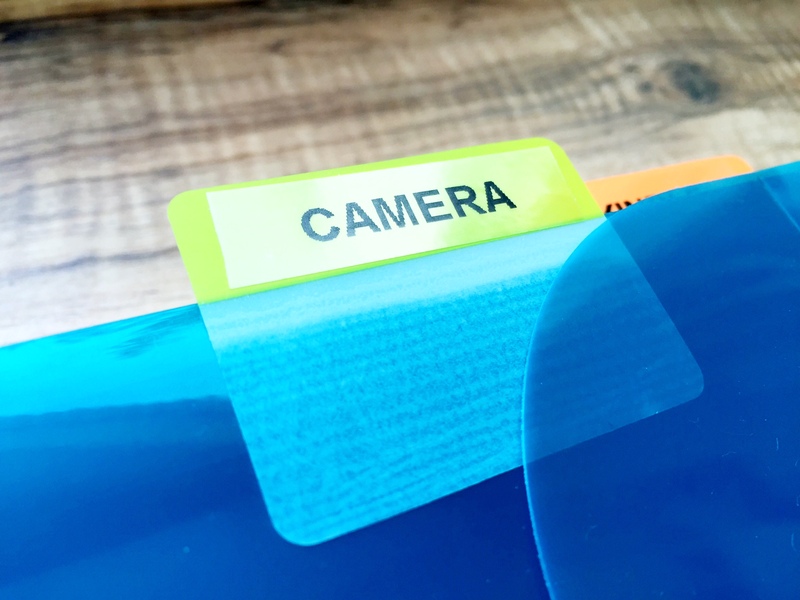 Don’t forget to fan out the placement of your labels so you can see them all at a glance! 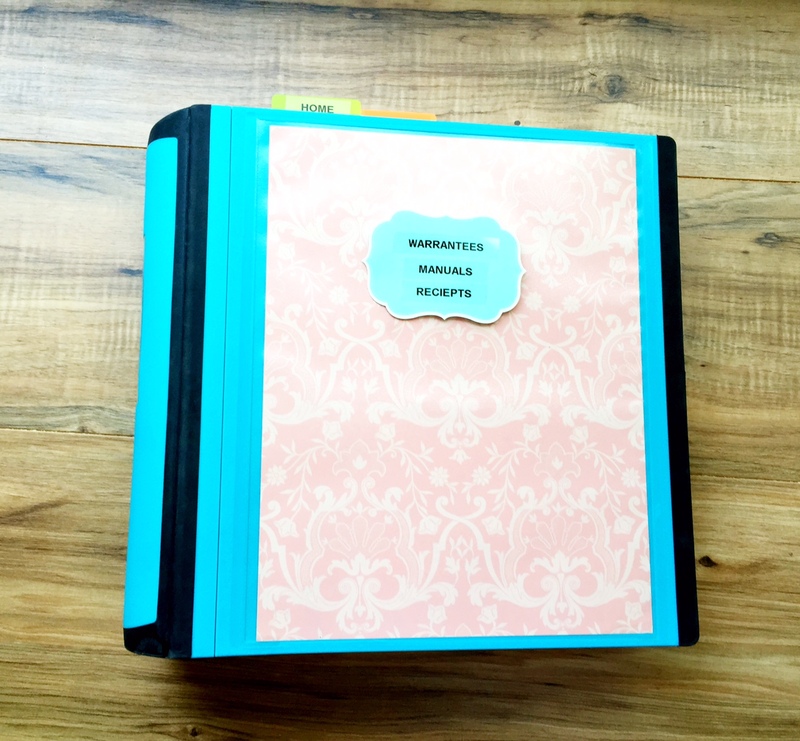 Taking the time to set up a binder like this might seem time consuming, this one small project will save you so much time later on. Never waste another second searching through a pile of papers and set yourself up with one of these bad boys, today! If you’re into organizing, decorating, or are experiencing the growing pains of being an aging millennial, please subscribe by submitting your e-mail address in the sidebar. Also, you can follow me on Instagram @lifeinorder for pictures of the latest happenings in my highly organized life, or find me on Twitter @LifeInOrderBlog for 140 characters of amazing, 4x a day. Catch you next time! Have you ever organized your whole apartment just for it to fall apart within a week? Maybe you’ve tried to organize a space in your place but it just didn’t end up looking quite right or working like you had hoped. If so, you’re probably making one of the most common organizing mistakes without even knowing it. 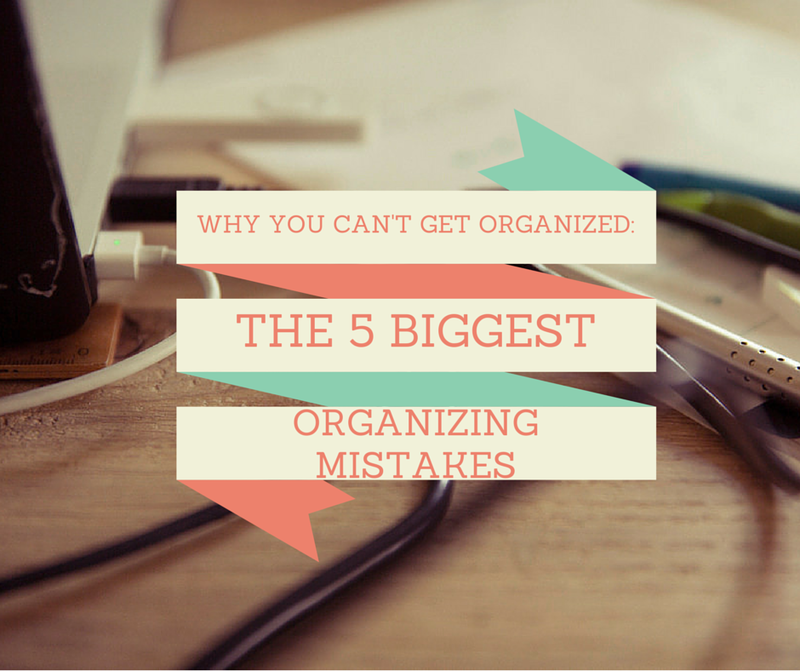 Here’s the top five reasons you can’t get organized. 1. You strive for perfection over function. Pinterest is the best thing to ever happen to the decorating and organizing world, but it’s also the worst. You’re number one source of inspiration can also be the thing that’s keeping you from getting organized. Instead of trying to make a space look like a pin on your Pinterest board, focus on making it work for your needs. 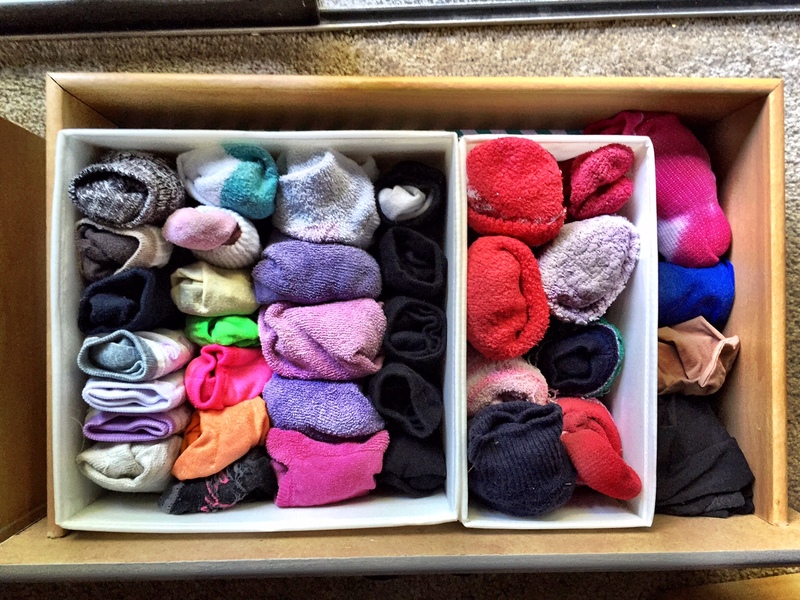 The real reason to get organized is to live a more efficient life. Without proper function, a space isn’t really perfect, after all. 2. 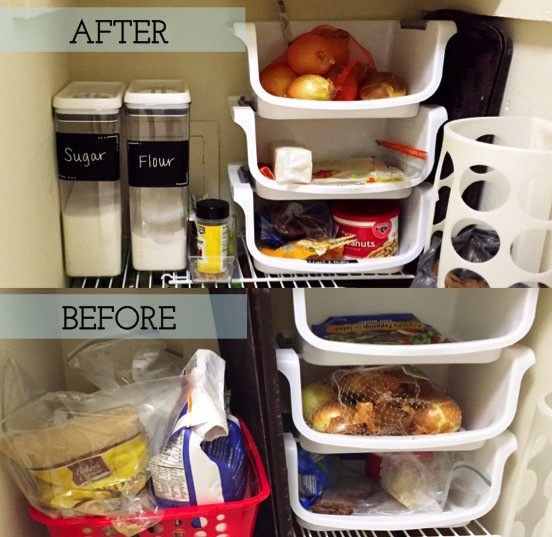 You organize a space to fit a bin or basket. Beware the myth of “the bin.” A cute bin, basket or tray, doesn’t necessarily mean you’re getting organized. Many times, people buy organizing products without an intended use for them and then try to plan an entire space around a bin that’s too big, too small or just doesn’t work at all. Don’t force organizing products on your spaces–you may find you don’t need a product at all, so be sure you’re planning out your systems before purchasing products. An organizing system won’t work for you if you don’t work for it. It’s so important to be sure you’re taking responsibility of maintaining and nurturing the system you put in place, or it could all fall apart. That’s not to say that you can’t reorganize a system that’s not working for you anymore. Just like a bad relationship, you’ve got to know when to try harder, and when to try something new. 4. You think “tidying up” is the same as being organizing. Throwing your mail in a pile on the edge of the desk, tossing clothes inside a dresser drawer or clearing off the dining room table doesn’t mean you’re getting organized. Clutter is still clutter even when you can’t see it. Take the time to put things back the right way so you know exactly where they are when you need them again. No exceptions. 5. You don’t focus on one-step organizing systems. This is the biggest organizing mistake in the book. The key to effective organizing systems is making all of your essentials easy to put away and even easier to put back. If you have to move your blow dryer out of the way to put your hairbrush back and then move your blowdryer back again, you’re probably going to leave your brush on the bathroom counter time and time again. Make sure that when you’re setting up a system for an item you use daily, or even weekly, that it takes only one step to grab it, and one step to put it back. 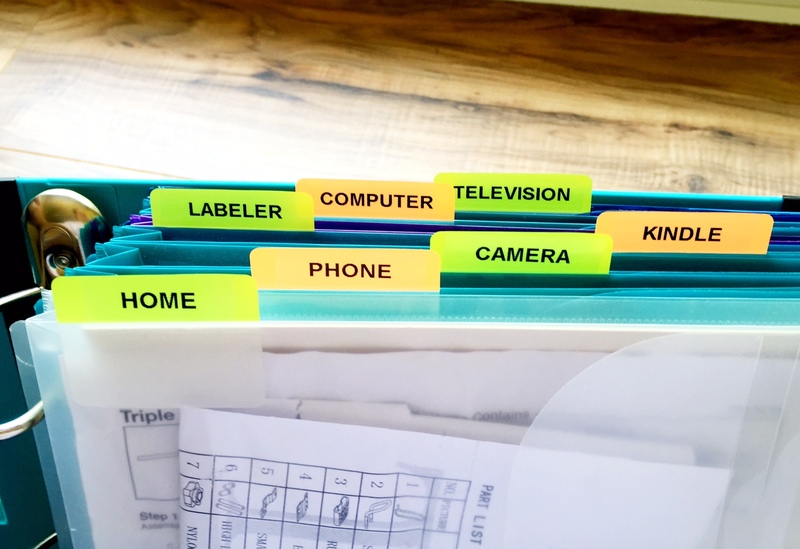 If you’re struggling to get organized, you may want to consider some of the above mistakes before tackling your next organizing project. For organizing tips and tricks delivered to your inbox, please subscribe to my blog by entering your e-mail address into the right sidebar of this site, follow me on blog lovin’ or follow me on Instagram (@lifeinorder) or on Twitter (@LifeInOrderBlog). Before we get into the pantry stuff, I wanted to let you guys know that Life In Order now has it’s very own Twitter and Instagram accounts! So please follow me on Twitter @LifeInOrderBlog and on Instagram @LifeInOrder (you can also click the icons to the right to connect with me). And don’t forget to subscribe and follow me on bloglovin’! Anyways, let’s get to the good stuff. Please excuse how dark and grainy these pictures are – my pantry is very far away from any natural light! 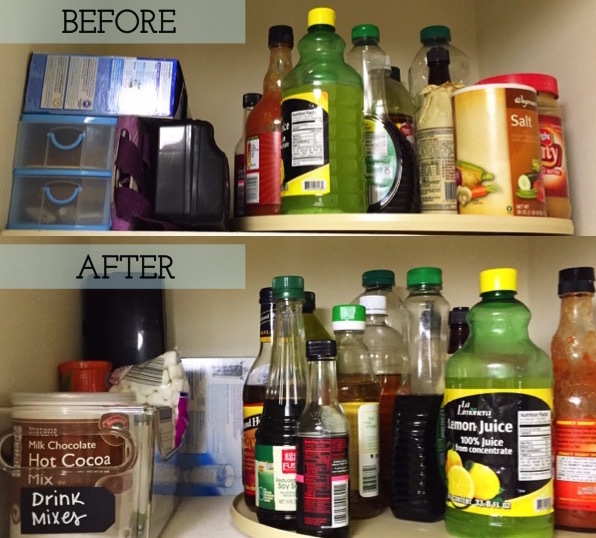 The lazy susan on the right hand side of the shelf stayed exactly as it was, but the bin on the left changed. I purchased the container from Walmart and use it to hold our drink mixes like hot cocoa, tea, and iced tea mix. I like it because it’s narrow, deep, and has a handle, so no inch of space is unused. Behind it, I put extra Brita filters and our electric knife; things we don’t use everyday or need to access often. The space to the left of the lazy susan wasn’t reaching its full potential. I kept things in the front that weren’t being used very often, and that piece of real estate is just too valuable to go untouched. So, I pushed things we don’t need to use to the back, and made more room for things we do in the front. Every single inch of this shelf has a purpose and there is no wasted space. The lazy susan creates a one-step organizing system, making things easy to grab, use and put back. Also, it let’s me see and access things all the way in the back with just a flick of the wrist–I’m only 5’1″ so it’s a pretty big help. Actually, nothing is different about this shelf. It was functioning perfectly just the way it was. Other than some purging, it stayed exactly the same, hence the lack of before/after picture. I’ve seen a lot of people organize beautiful Pinterest worthy pantries where everything is out of the box and put perfectly into color-coordinating containers. But, for me, this works just fine. I am far too lazy to take cereal, crackers and pasta out of the package each week after grocery shopping to put it into a separate container. Why would I do that when I don’t have to? That just sounds exhausting (and a little unnecessary). Although you would never catch a pantry that looks like this on the cover of HGTV Magazine, that’s okay. It works well for me, and is cheaper than paying for containers. Just because you keep things in their original packaging doesn’t mean you’re unorganized–it just means your practical (as long as a space functions well). It doesn’t have to be perfect, it just has to work for you. I used no products for this shelf! I didn’t change this shelf too much either, I more tidied it up. I switched out my high school looking binder for a nicer, brighter, Martha Stewart Home Collection binder (that I already had) for our recipes. I added a mason jar for chip clips and wine stoppers and moved some things to other shelves where they fit much better. I felt like I could make better use of the space by clearing things out, and making sure I could see everything on the shelf. With the popcorn bag in the way and the jars of salsa and sauce that were all the same, I wasn’t making the most of the tiered shelving. I can now see all the labels on the shelf. It really makes it a lot easier to grab and put back. I used no new products for this shelf! This shelf probably underwent the most change of them all. It’s completely different–but it needed to be. I took everything from that green bin and moved it up to the clear container on the top shelf. I unloaded the bread crumbs and quick oats into new, air-tight containers and moved the spice packets to another shelf. I used mason jars that we had around the apartment for smaller quantities of baking and cooking supplies and put cans of sauce behind them. I wasn’t using the space to it’s full potential at all. I just kind of threw things on this shelf willie-nillie, and broke my own rules of organizing. I’m pretty ashamed. I knew I could fit much more on this shelf with a little rearranging, and rearrange I did! I moved everything to inexpensive air-tight containers to keep them fresh and staying good longer. The simple switch from round to square containers let me fit everything on the shelf so much better and gave me the extra space I needed for more items. I can take the lid off, scoop out as much of the ingredient I need and then put it back. I used to keep some of these things in plastic baggies, and it was really a pain to get them out when cooking–but I don’t have the problem anymore! Chalkboard labels allow me to change the contents of the container easily without having to peel off labels and reapply. If I want to switch it up, I can just wipe off the chalkboard marker and rewrite it. They are from Walmart Better Homes and Garden’s Brand in the kitchen section if you’re interested! In the before picture you’ll see that I have all our baking supplies inside ziplock bags and thrown in that red bin to be forgotten. The old setup made cooking a complete hassle. I couldn’t get anything out of the bags without making a mess and it was difficult and heavy to take out the whole bin and put it all back, so I usually just ended up taking out one thing at a time and then throwing it back on top of the heap. Not good. Also, Matt never put anything back in the right place with these stackable bins, so we needed some order and some labeling. We rearranged the contents of the stackable bins according to usage, which is how onions ended up on top. It makes it easier to access the things we use more often. 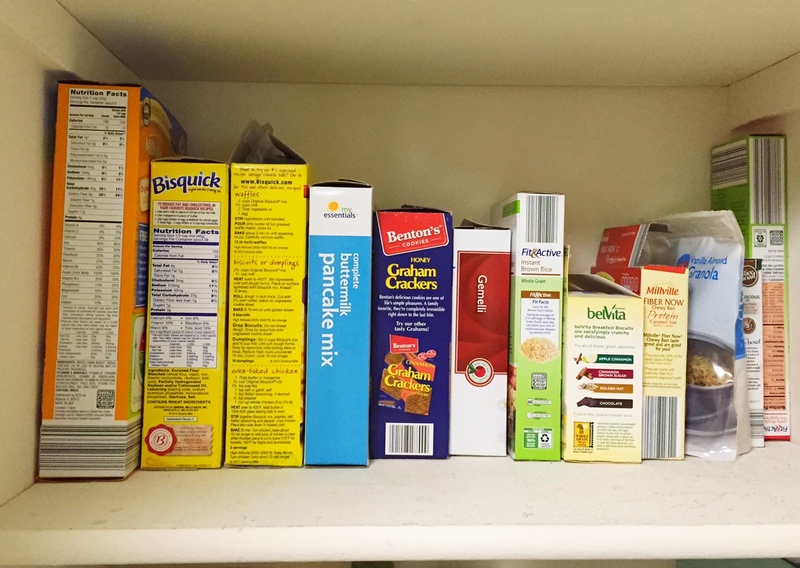 Also, we put the flour and sugar in cereal containers, ideal for such a narrow, yet tall space. The new containers make it easy to grab what we need, use it, and then put it back while keeping things fresh and mess-free. 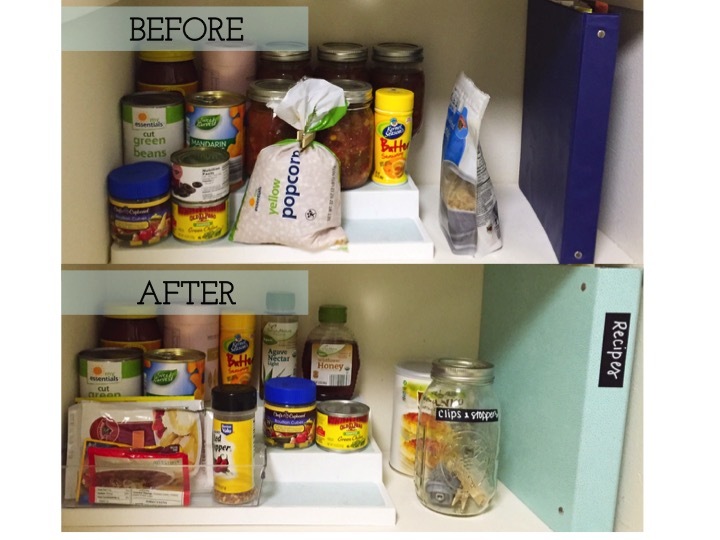 The grand total for this pantry overhaul came in under $70, $66.25 to be exact! That’s a small price to pay for the amount of time it has saved us in the kitchen and the longevity we will get out of those beautiful air tight containers. It helps to shop the house first when you’re trying to organize on a budget and use what you’ve already got before going out and buying new things. But when you do buy new things, make sure that you’re purchasing items that are worth the investment. The Dollar Tree is great, but when it comes to keeping your food fresh, you’re going to want something air-tight. The cost of replacing your food each time it goes bad is going to add up quickly if you don’ have the right tools to store it all. 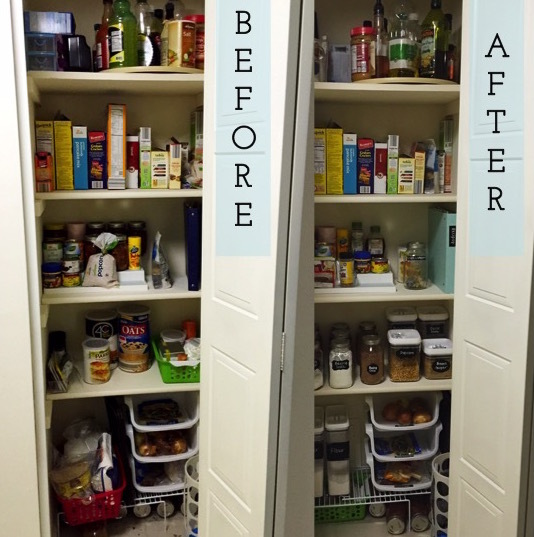 If you want to cook, but you’ve given up, consider re-organizing your pantry and think about one-step organizing systems. This means one step to take it out, and one step to put back. It will help maximize your kitchen efficiency and may even help you turn into a pro in the kitchen (am I over promising?). 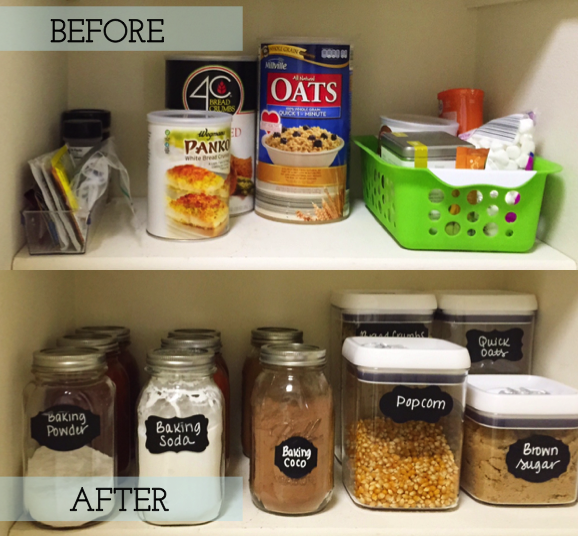 I hope I’ve given you some ideas and inspiration to try and tackle organizing your own pantry on a budget! Leave me a comment below if you have anything to add or share. I love learning from other people who are getting organized to live more productive lives! Don’t forget to subscribe if you’d like to get updates from my blog to your e-mail account, follow me on bloglovin’, follow me on Instagram @LifeInOrder and on my new Twitter account @LifeInOrderBlog. If you’re curious about how I organize something in my apartment, let me know! I would be happy to show you if I haven’t already. See you next time!